How many first time visitors to your webpage have made a purchase? I am guessing little to none which is why you need good lead magnet to grow your email list. In today’s world, only about 1 percent of visitors to a website will actually make a purchase on their first visit. Usually it takes about 4 to 7 points of contact to make the sale. 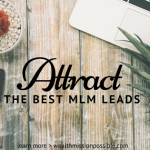 To do that, you need a powerful lead magnet. What the heck is that? 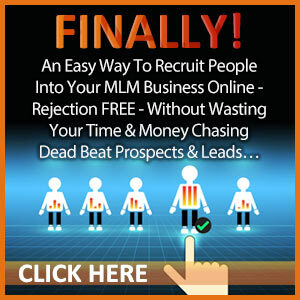 You create a lead magnet for 99% of the prospects that will leave your webpage without purchasing anything! 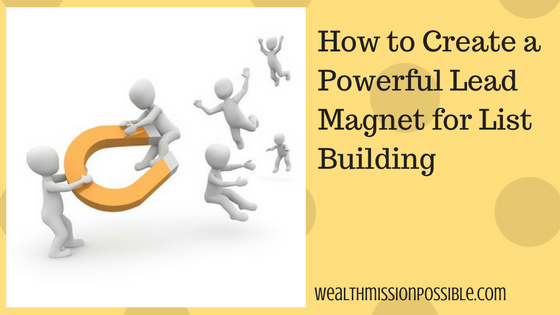 Click here to learn how to create your first ebook lead magnet! So, here are your tips to create an effective lead magnet and capture the email addresses of your potential prospects and turn them into customers! 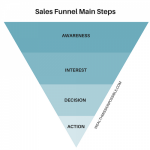 Have you looked at your competitor’s lead magnets? What are they offering to first time visitors? Get some ideas by researching these and then create your own better and more appealing offers. But don’t copy! You can see that your lead magnet can be various mediums. Regardless of which medium you choose, remember that it’s the content that counts. Choose a topic that your prospects will be very interested in and provide the most value. Researching the top concerns of your potential buyers will help you choose a topic for your lead magnet. People want solutions. They want valuable information. You’ll provide them with the answers or facts that they need. There are several ways to learn more about the top concerns of your target demographic. You can search forums and communities. Look at the questions that people ask most frequently on these websites. You can also look at social media comments. This includes comments on both your own social media accounts and the accounts of your competition. Social media is the preferred method of communication for most consumers. A little bit of keyword research can also help you find a topic. See what keyword phrases are searched for most frequently. Focus on keyword searches related to questions or concerns. After you’ve researched the top concerns of your potential buyers, you’ll have a topic to discuss. Make this topic the focus of your free content. Then, this content together in a PDF, video, or webinar. Once you have you offer, creating the content is simple. 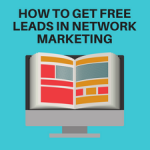 First start off with a compelling title for your lead magnet. You want to peak a person’s curiosity right away so they read the rest of offer. Be very specific and clear while addressing a problem that your prospects need a solution for. The sub-title should support your headline by informing visitors what they will learn from reading the rest of the page. This same tip applies to the rest of your web page. Keep the content simple and direct. You need to stick to the point. The entire goal of the page is to get visitors to sign up to your email list by offering free content. Make sure that they understand exactly what they’re about to sign up for. 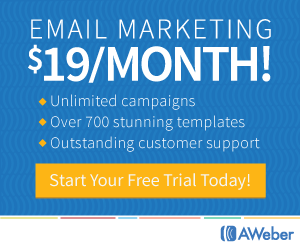 Creating lead magnet are powerful tools to help grow your email list. Once you get started, you’ll notice that list building grows a little faster. You can then communicate with those on your list on a regular basis. This will help your subscribers get to know, like and trust you. Provide valuable content and be an authority in your field. 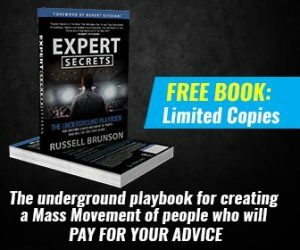 If you’d like more powerful marketing tips, as well as a way to generate conversion-ready internet marketing prospects every month, click here to learn about how to create your ebook to use as a lead magnet.